Staying in a hospital is a low point in anyone’s life, no matter how good the conditions. 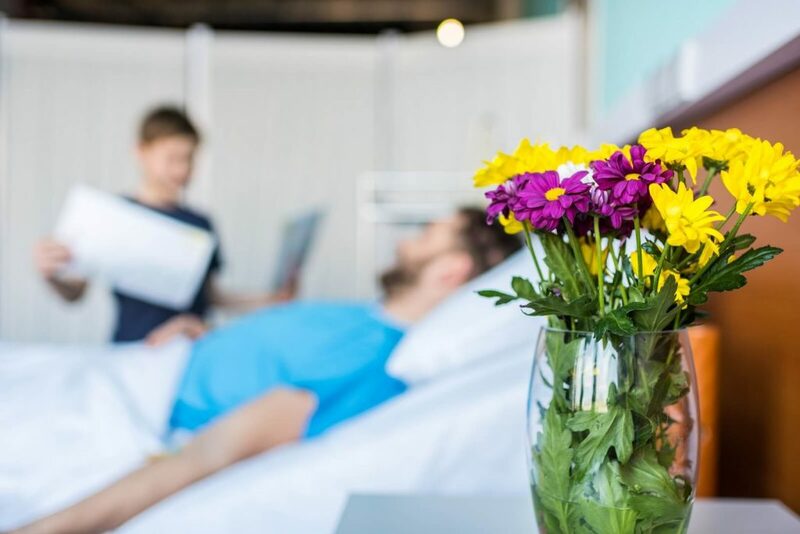 Flowers are an excellent way to wish them quick recovery. Not only do they remind your loved one you’re thinking of them, but they also brighten the space and create a good energy that can actually boost recovery. Good Health. Even if your health isn’t great, it could be worse and you likely still have some working parts to be thankful for. So send a “get well soon” bouquet to your friends. A nice bouquet can thus make life somewhat easier for a recuperating patient. But is it always the case? Not necessarily. There are a few things that should be kept in mind while selecting an appropriate bouquet, whether you bring it by yourself or have it delivered to the hospital. Some hospital units, especially those that treat patients with lowered immune systems will not accept flowers. This will usually apply to intensive care and midwifery, as well as post-surgical wards and burn treatment. 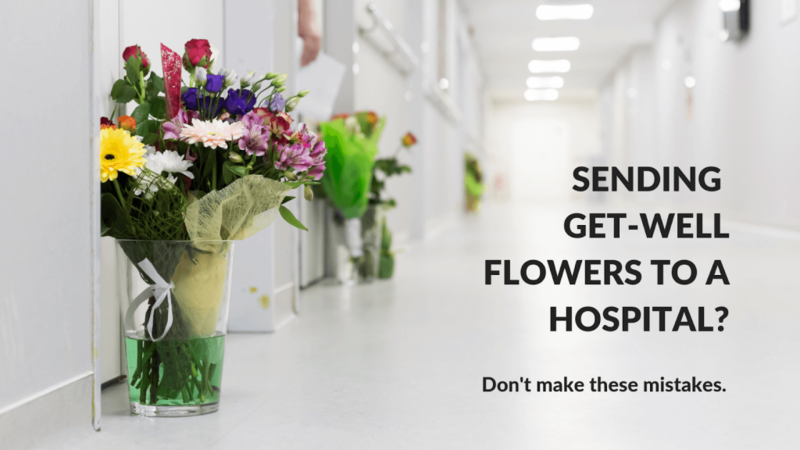 Some establishments have banned flowers altogether, so you should check with the hospital first before you order the flowers. Avoid flowers with pollen that is exposed, e.g., lilies. Instead, opt for flowers which hide their pollen, such as roses, irises, carnations or chrysanthemums. Allergens are never a good idea in a hospital; even if the patient you’re about to gift doesn’t have allergies, others may not be as lucky. Choose simple and smaller arrangements. They will be easier to move around if necessary. Remember that hospital shelves may be needed for meds as well as the personal belongings of the patient. Flowers with harder or wooden stems, such as roses, carnations, sunflowers or asters will be better than the ones with soft stems, like gerbera daisies or tulips. Those harder stems won’t get soggy and thus won’t require changing water as often, leaving doctors and nurses more time to do their work. Consider a durable vase. A glass vase may cause a serious hazard when flipped. If you can’t find a metal, wicker or plastic replacement, opt for a wide glass vase that guarantees stability.